Todd Schmidt, M.D., is board certified by the American Board of Orthopaedic Surgery and is an American Academy of Orthopaedic Surgeons Fellow. Dr. Schmidt is fellowship trained in both shoulder surgery and sports medicine. His practice includes orthopedic surgery with a special interest in sports medicine, shoulder, hip and knee disorders, fracture care and arthritic joint reconstruction. He is an innovator in the use of computer-assisted surgery in joint replacement and in the evaluation of hip disorders, and the use of arthroscopy to treat them. 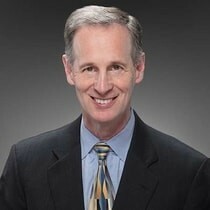 Prior to his founding role in OrthoAtlanta, Dr. Schmidt held leadership positions on the Board of Directors for Piedmont Healthcare and Chair of the Department of Surgery and Chief of the Medical Staff at Piedmont Henry Hospital. He also has served as the Board Chair and Finance Chair at OrthoAtlanta. To support Todd, please visit his fundaraising page today! Sandra has always been extremely active, from the time she was a child until her 40’s when she started having dexterity issues and unexplained pain. One afternoon in 2010, she noticed a very strange red bump on the back of each of her hands. That night, she was awakened with a horrible stabbing pain in the middle of each hand. The next morning, she found an orthopedic hand specialist who could see her. She checked her hands thoroughly and ran some tests to ''rule out'' Rheumatoid Arthritis. Sandra told her that she was sure it wasn’t Rheumatoid Arthritis (RA). Her vision of a person with RA is confined to a wheelchair, and Sandra knew this was not her fate. Less than a week later, the doctor called her to inform her that, in fact, she did have Rheumatoid Arthritis. As soon as she had received her diagnosis, she began her mission to learn about RA. She found some very useful articles that were published by the Arthritis Foundation. Seeking more, she went to the Atlanta office for further information. While there, Sandra learned about the Arthritis Foundation Walk to Cure Arthritis. Her involvement in Walk to Cure Arthritis each year gives her a feeling of strength rather than being a victim of this awful, debilitating illness. Sandra found a Rheumatologist and began the laboring task of trying to find a drug that would work without slowing her down. After trial and error, she is now receiving a biologic infusion every other month. Sandra is currently living life with little to no pain and has resumed her very active lifestyle. 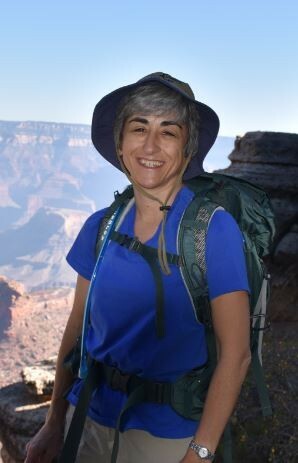 In September of 2016 she hiked with her husband Bob, down and back up the Grand Canyon, kayaked at Lake Powell, and hiked the Narrows at Zion National Park. Sandra is a TRUE Champion of YES! To support Sandra, please visit her fundaraising page today! Kyleigh Allison is a 9-year-old champion and this year's Walk to Cure Arthritis Youth honoree. Kyleigh was just 4-years-old when found out she had Juvenile Idiopathic (Rheumatoid) Arthritis (JRA). She knew something was wrong because her knees hurt all the time but especially in the morning. She couldn’t get out of bed or even walk for a while. In the beginning, she took several different medicines, but now she does two injections, Methotrexate and Humira. When Kyleigh found out that she had JRA she didn’t know what that meant because she was so young, but as she got older she started to understand. Kyleigh has good days, but her sad days are challenging, and she cries a lot. Some days she misses out on things like school, certain sports, and even some events due to the side effects of the medicine. Kyleigh wants everyone to know that kids get arthritis too, and that they can be in pain all the time. Supporting the Arthritis Foundation is important to her because of events such as the Walk to Cure Arthritis that help raise money to find a cure for arthritis. Kyleigh's favorite week of the year is attending Camp, a camp designated for kids that have arthritis. Kyleigh said YES to be the honoree for this event because it helps people to understand arthritis and educate people that it's not just the old that can get arthritis. She wants to do everything possible to help raise money so that one day she, and other kids with arthritis, will not have to be in pain and be on so much medicine. 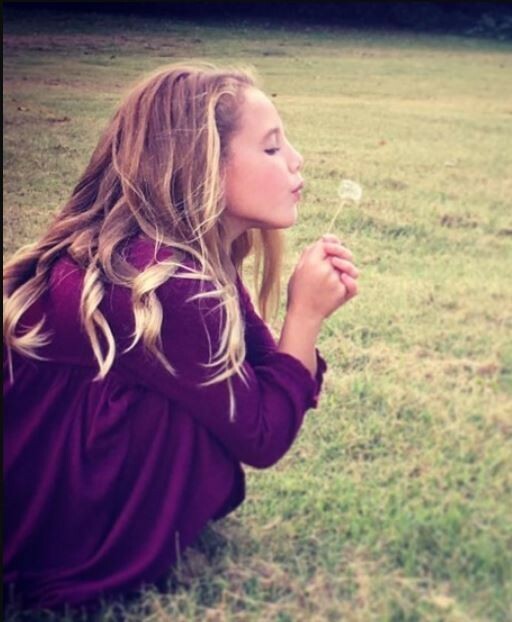 To support Kyleigh, please visit her fundaraising page today! 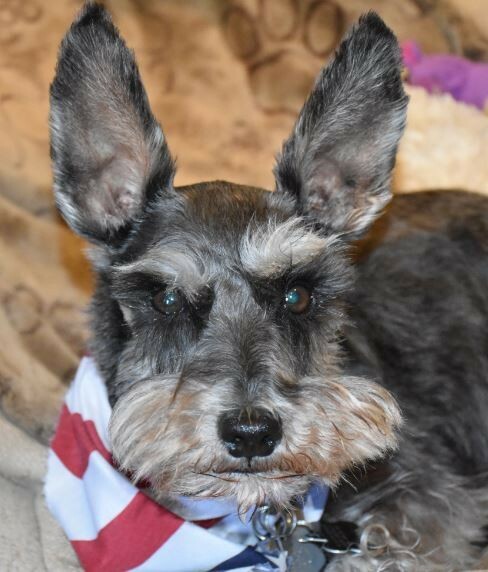 Meet Otto Edwards – he is a miniature schnauzer, a breed known for loyalty and for protecting homes and farm buildings from pesky intruders. Otto might be around seven years old. Several years ago, an automobile struck him, and he was rescued by Dearborn Animal Hospital. They saved his life. All he lost was his rear left leg. The amputation gave him a new lease on life. During his recovery, he charmed everyone at Dearborn Animal Hospital. Shortly after, Otto was adopted by Sandra Edwards and her husband Bob. Otto starts every day with a walk. Sometimes one mile, sometimes two. Otto gets to pick the direction, which changes every day. Some days start off with Otto meeting with his friends Chocolate and Sammy, others with Pepper, Elsa, or Charlie. He gets some rest during the middle of the day, but patrols for the Postal Service, deer and other intruders. In the evening he plays in the yard and goes for another walk. Weekends are the best, with longer walks and visits to exotic places, like Wellborn Nature Preserve and the Belt-line. Otto loves taking road trips and tours places like Chicago's parks, Civil war battlefields, and Knoxville's riverfront. Every day is a new adventure, meeting new and old friends. Otto is fearless! Dogs, people and their pets respect him. Some never notice that he is ''missing'' a leg. Please join Otto’s team, the ''Lucky Dogs'', and walk with him. To support Lucky Dogs, please visit their team fundaraising page today!